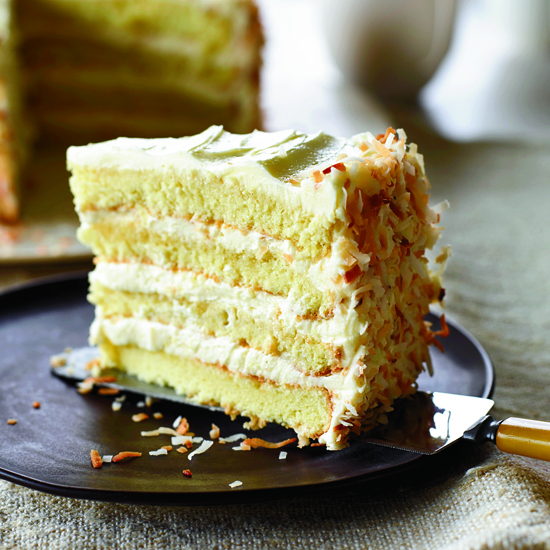 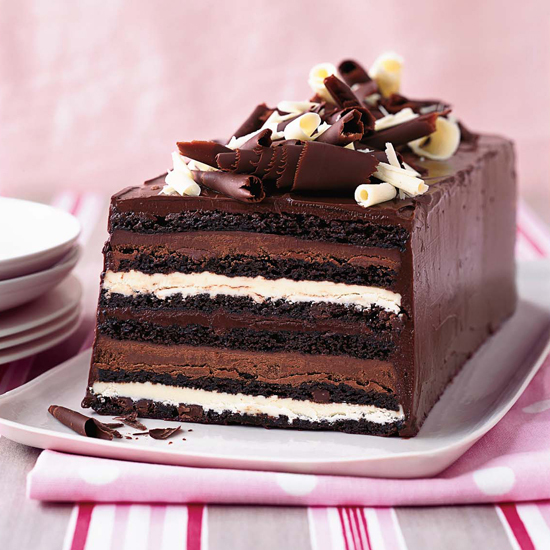 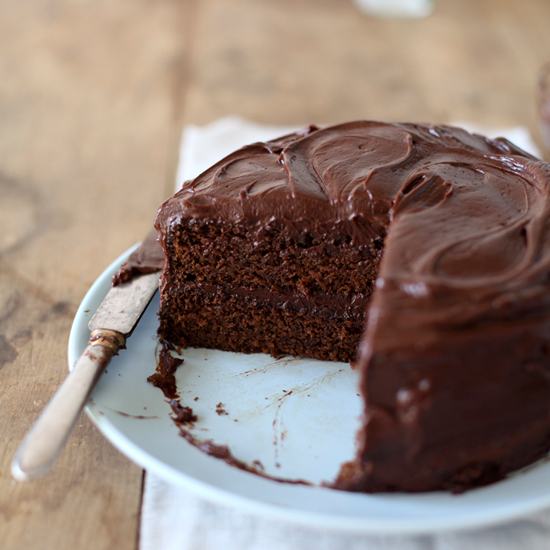 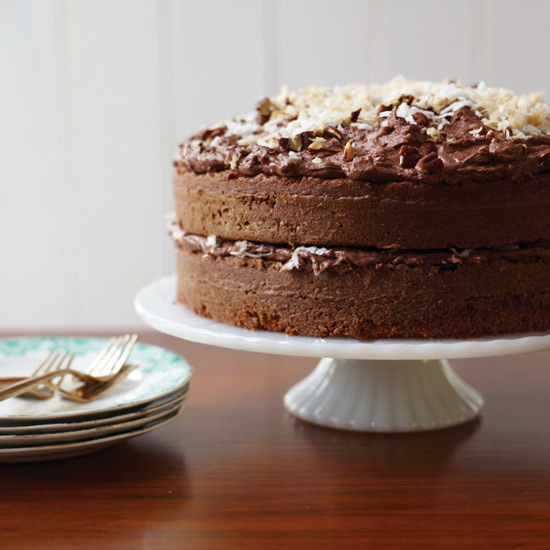 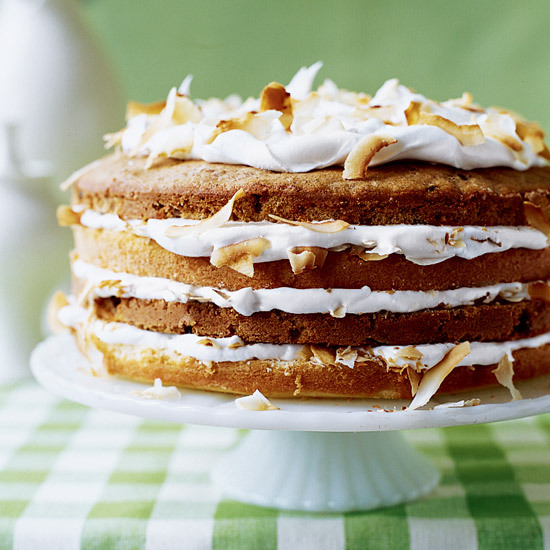 These incredible recipes include double-chocolate layer cake and a towering coconut layer cake. 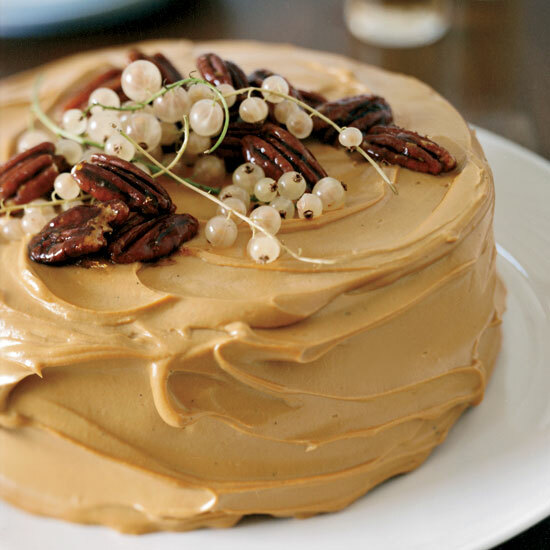 This classic pumpkin cake from mkgallery's Justin Chapple is perfectly moist and delicately spiced. 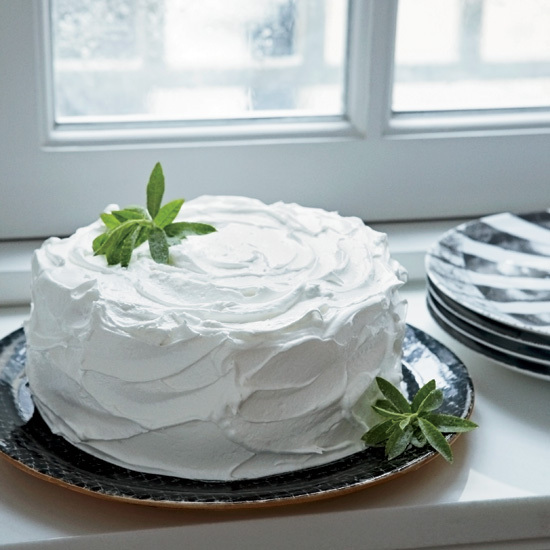 The simple vanilla buttercream frosting gets a lovely tang from the mascarpone that's blended in. 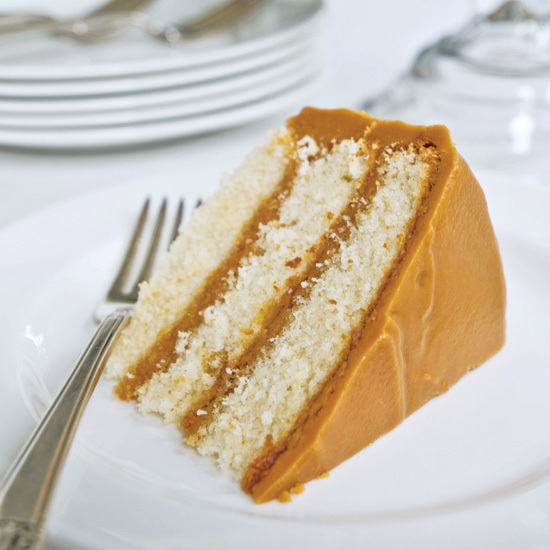 In this fun variation on traditional pumpkin pie, pumpkin cake spiced with ginger, cinnamon, nutmeg and cloves gets frosted with a slightly tangy, super-caramelly frosting. 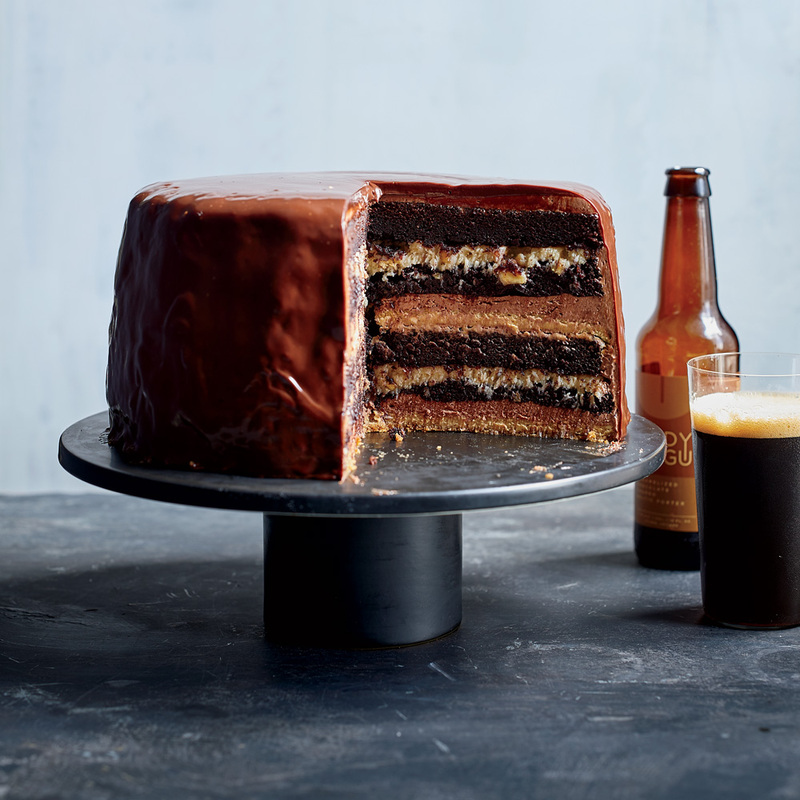 It's delicious served cold or at room temperature. 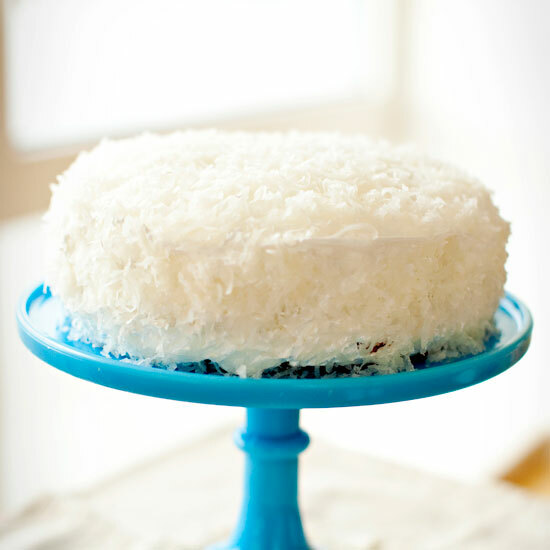 This amazing cake comes from chef Ann Cashion. 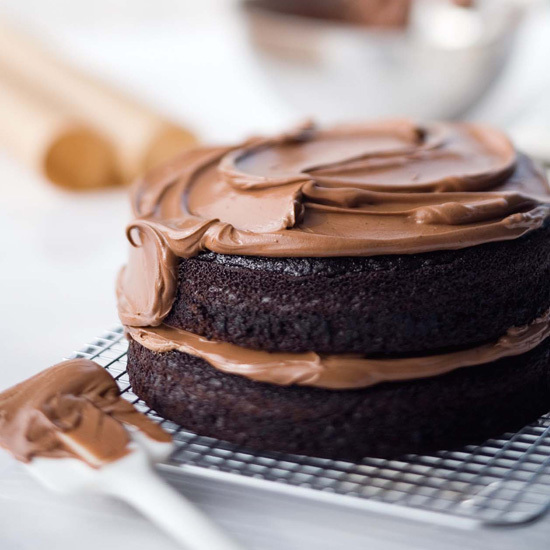 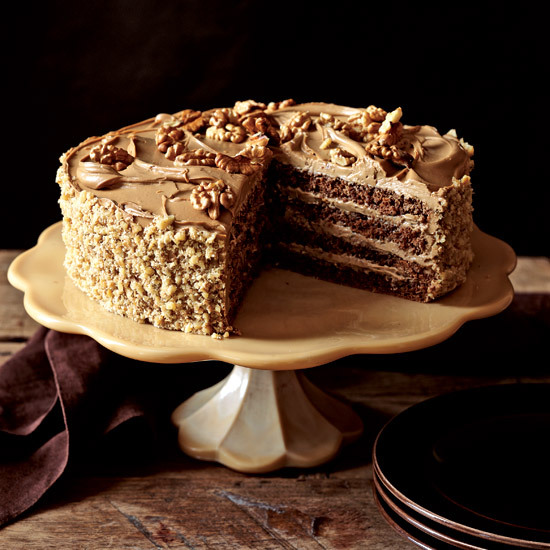 Sam German created the mild, dark baking chocolate called Baker’s German's Sweet Chocolate in 1852; in the late 1950s, a Dallas newspaper published a recipe for German’s Chocolate Cake. 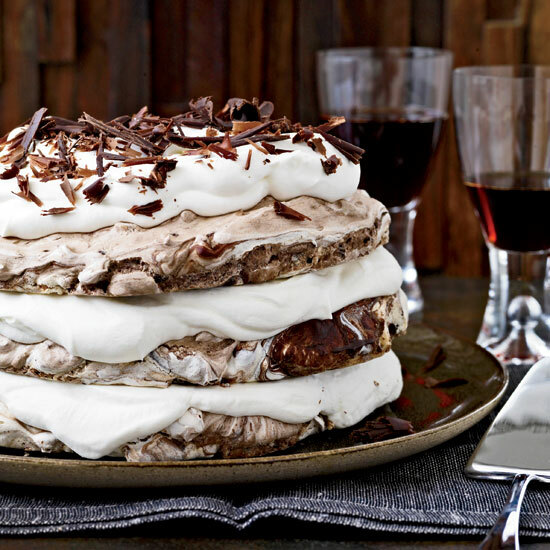 The dessert took the South by storm and has been a staple ever since. 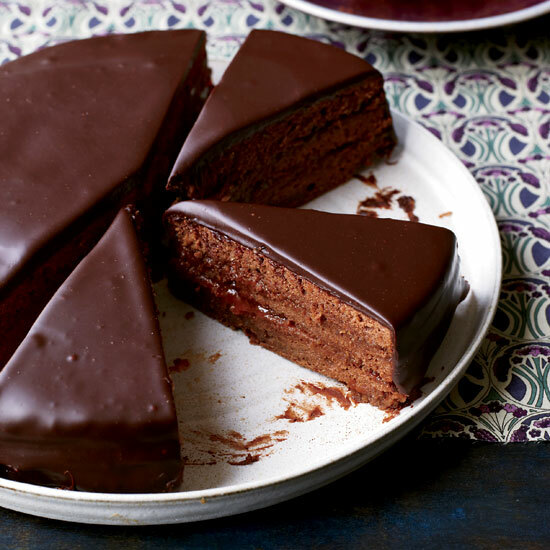 Sacher torte is a classic Austrian chocolate cake layered with apricot preserves. 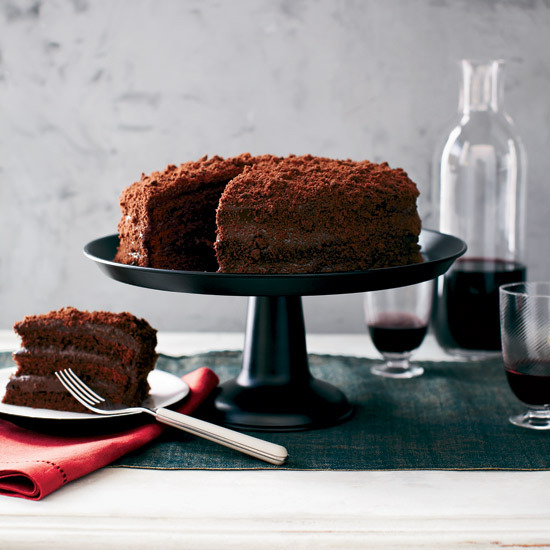 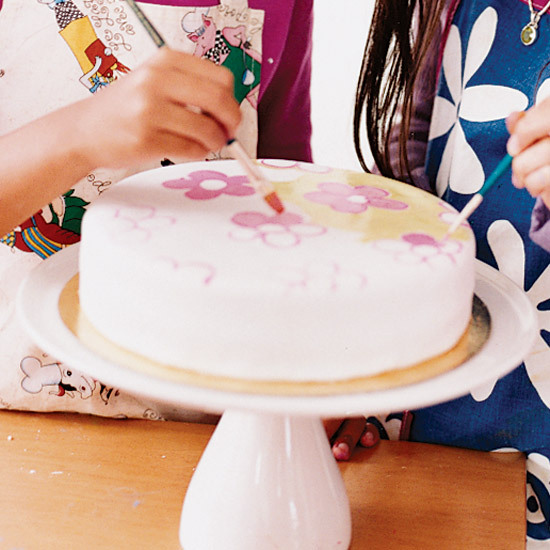 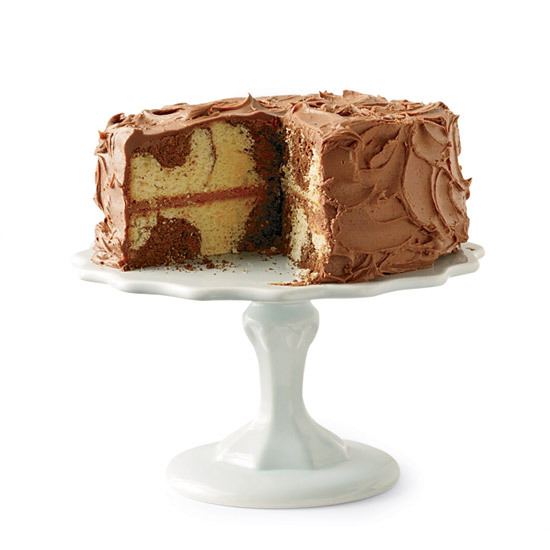 Lidia Bastianich’s version uses the cake layers, as a thick filling between the layers and as a glaze to seal the cake before covering it in chocolate. 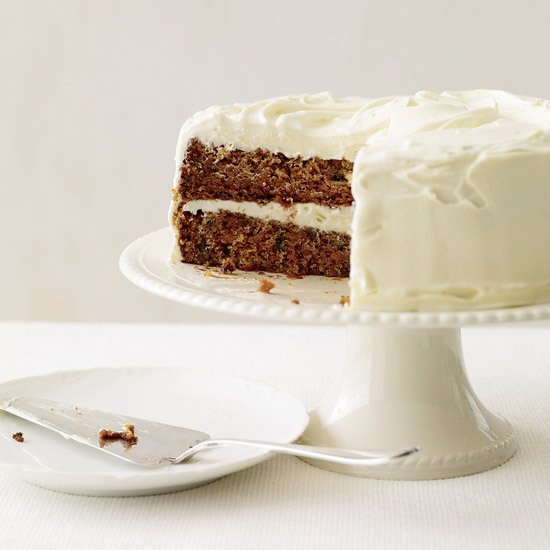 The cake is moist and luscious on its own, but it’s also delicious served the traditional way, with unsweetened whipped cream. 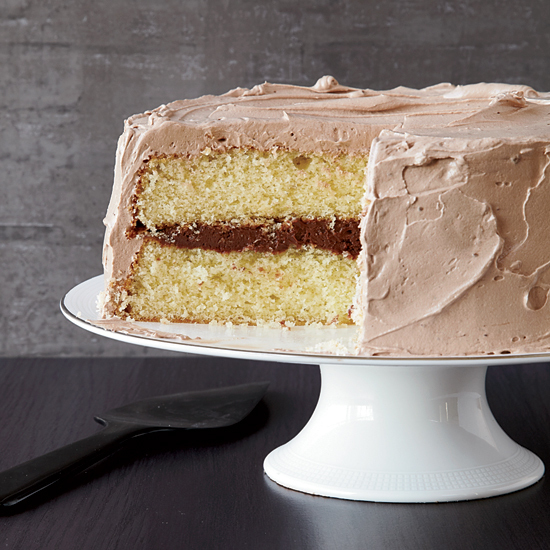 This layer cake recipe combines moist, spongy cake and frosting that's a perfect balance between sweet and buttery. 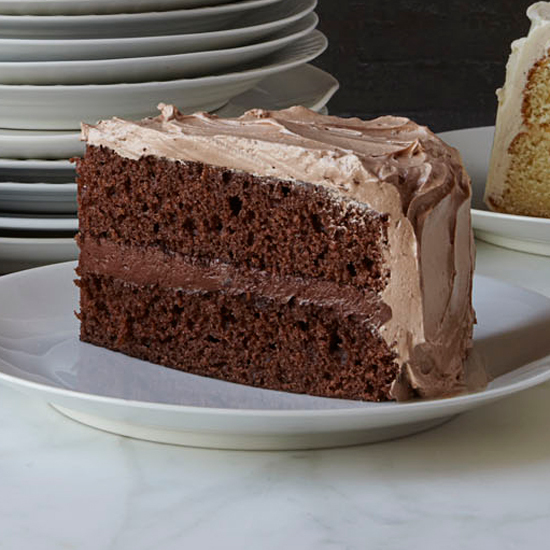 Because Tyler Florence wanted Wayfare Tavern to feel like a century-old San Francisco institution, he researched menus dating all the way back to the Gold Rush. 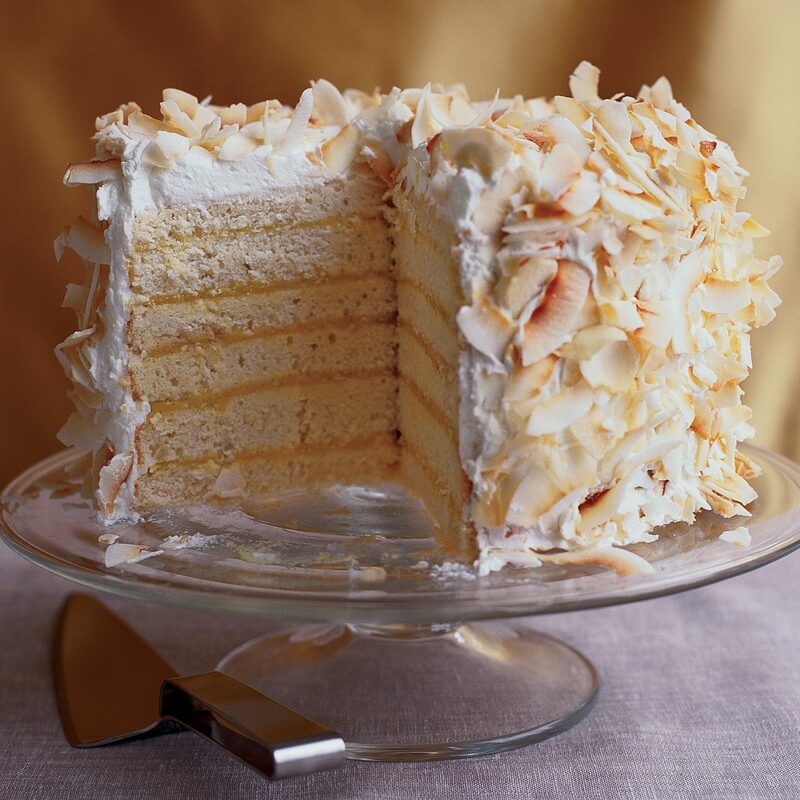 This cake couldn’t be more traditional: four layers of rum-brushed yellow cake filled and frosted with a light and airy, coconut-scented meringue-buttercream. 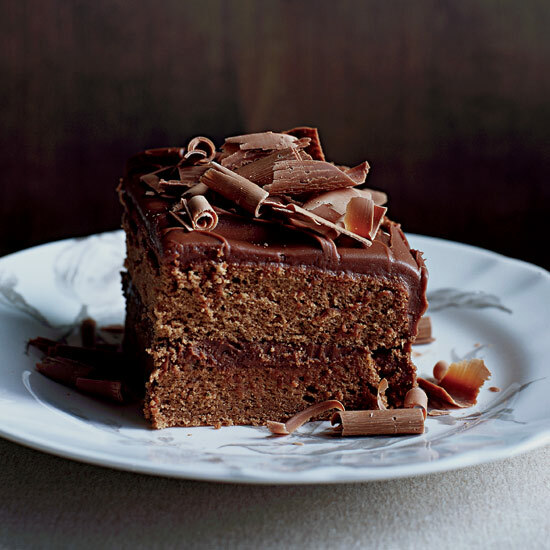 This recipe is all about planning, as it’s worth every single second spent making it. 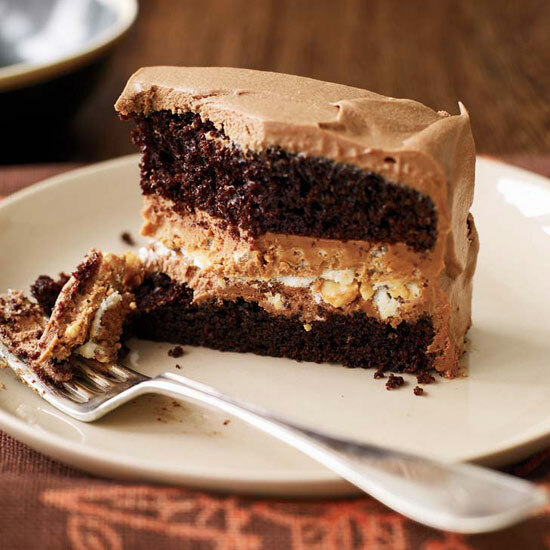 It’s an epic assemblage of rich chocolate cake, tangy espresso cheesecake, nutty German chocolate filling and buttercream, all enrobed in dark chocolate ganache. 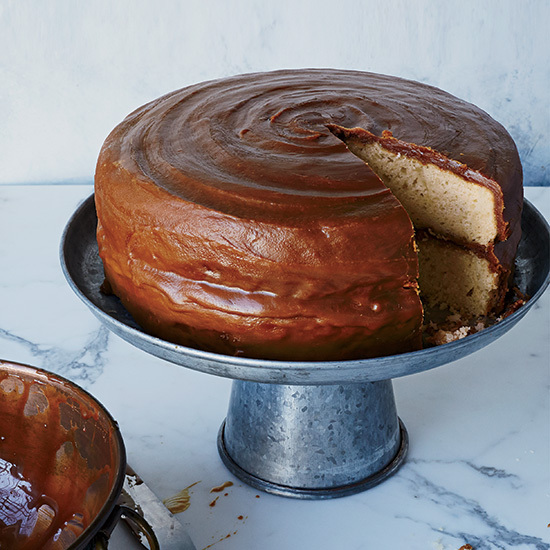 No single part of it is difficult to make, and once this colossal beauty is ready to serve, it’s off-the-charts delicious and perfect for 25 people or more.